Educator. Author. Entrepreneur.Talk Show Host. I have the awesome opportunity to serve as a Leadership Development Coach for new and aspiring principals in a large urban school district in Maryland. I am a former elementary and middle school principal in Maryland and North Carolina. I am a twenty-five year veteran in public education serving in the capacity of a classroom teacher, Instructional Coordinator, Assistant Principal, Test Development Specialist, Regional Instructional Specialist and Principal. My research interests are leadership development and principal preparation. I am a Gallup-Certified Strengths Coach. I seek to inspire quality innovative leadership from new and aspiring principals. I am a proactive problem solver and I continually develop my leadership skills through a never-ending process of life-long learning to include self-study, formal education, and experience. I am the CEO and Owner of Perfect Time SHP LLC, Coaching, and Consulting Firm, providing, Entrepreneur/Business Startup Coaching and Consulting as well as Book Writing Coaching and Publishing Services. I am the Founder of the G.R.I.N.D. (Global Relationships Igniting Networks and Development) Entrepreneur Network; an online forum providing development and networking opportunities for educator entrepreneurs. 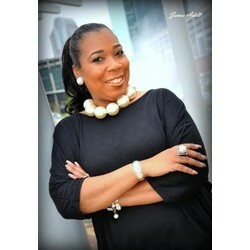 I am the host of The I Am Dr. Sharon Show, a LIVE in-studio interview show, creator and jost of the Write the Book Now! Interview and Podcast Show. The show features authors of fiction and non-fiction titles. Write the Book Now! will also sponsor an Aspiring Author's Weekend Retreat.